I'm excited to announce another book launch for OC Publishing! 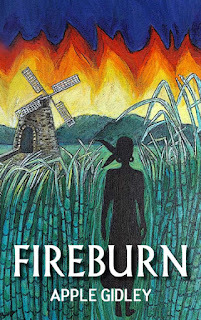 Apple Gidley's debut novel, Fireburn, launches today, the anniversary of the historical event that inspired the title. This historical fiction tells the horrors of a little-known, bloody period of Caribbean history. 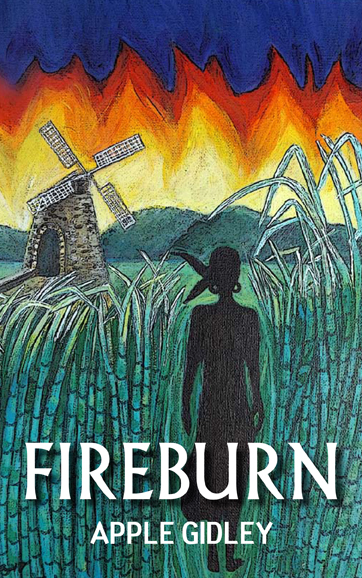 “Informed by impeccable research and infused with a deep curiosity and love for the beauty and complexity of the West Indies, Fireburn is at times shocking, at times deeply moving and always engaging. Historical fiction of the highest class,” said Matthew Parker author of The Sugar Barons. Weathering personal heartache, main character, Anna Clausen survives the worker rebellion on October 1, 1878, 30 years after Emancipation, as she challenges the conventions of the day and faces hostility from the predominantly male landowners. According to Gidley, the idea for the novel came to her while attending an event on Saint Croix in celebration of Transfer Day when the United States bought the Danish West Indies in 1917. Gidley, who is also the author of Expat Life – Slice By Slice, is a global nomad who has lived in 12 countries and moved 26 times. Her nomadic life began immediately after she was born and continued into adulthood. As a child she lived in England, Nigeria, Malaysia, Singapore and Australia, and Papua New Guinea, where she met her husband. During her married life she has lived in Holland, Trinidad, Thailand, Singapore, Scotland, Equatorial Guinea and the US. She and her husband currently divide their time between Houston, Texas and Saint Croix, one of the US Virgin Islands. As you can imagine, with homes in both Houston and St Croix, the weeks leading up to this book launch have been heart-wrenching for Apple as she herself, as well as friends and family were directly in the destructive path of hurricanes Harvey and Maria. With such close connections to the island, Apple has decided to donate part of the proceeds from sales of her book to the St Croix Foundation fund set up for Maria restoration. Fireburn is available in print and ebook on Amazon and Barnes & Noble and in select bookstores. Gidley will make an author appearance and sign books during launch month in Houston on October 12 at 5:00 p.m. at River Oaks Bookstore at 3270 Westheimer Road. 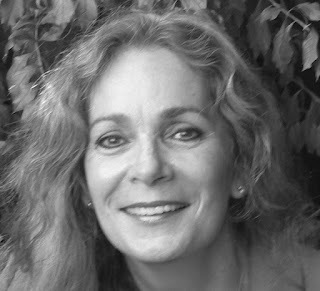 You can learn more about the author and her books at http://www.applegidley.com, follow her on Facebook at https://www.facebook.com/applegidleywriter and on Twitter @expatapple. Apple Gidley, an Anglo-Australian author, whose life has been spent absorbing so many countries and cultures, considers herself a global nomad. She currently divides her time between Houston, Texas and Saint Croix, in the US Virgin Islands. She has moved 26 times, and has called twelve countries home (Papua New Guinea, Thailand, The Netherlands and nine others), and her experiences are described in her first book, Expat Life Slice by Slice (Summertime 2012). Her roles have been varied - from magazine editor to intercultural trainer, from interior designer to Her Britannic Majesty’s Honorary Consul. Now writing full time, Apple evocatively portrays peoples and places with empathy and humour, whether writing travel articles, blogs, short stories or full-length fiction. Apple enjoys the contrast between the vibrancy of Downtown Houston and the relaxed pace of the Virgin Islands, where the history of the islands fuel her interest in art and culture. Her blog A Broad View can be found at www.applegidley.wordpress.com. Follow her on Twitter @expatapple.